How to pack your lunch - InspireMyWorkout.com - A collection of fitness quotes, workout quotes and workout motivation! 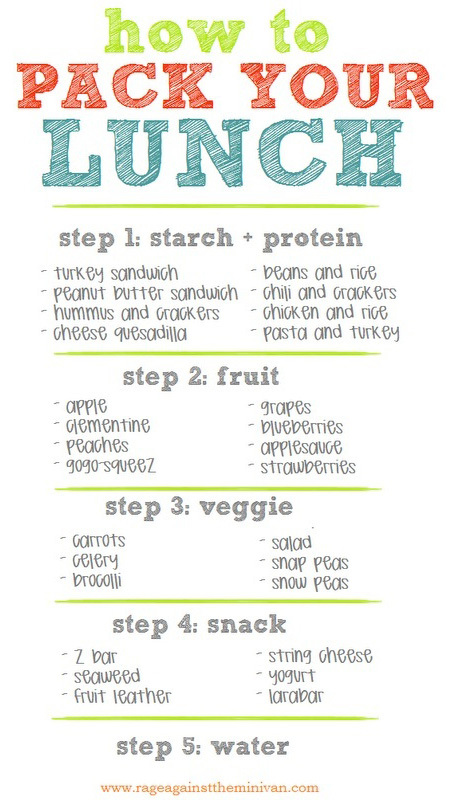 Simple steps to help you pack your lunch. One item from each group.